Looking for a caring Lakewood Chiropractor who serves the area? 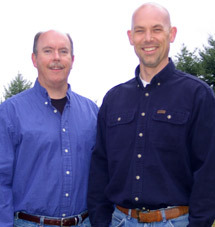 Then we’re please to introduce our Chittenden Chiropractic Chiropractic team! We look forward to meeting you personally and helping you get well and stay well. As a Chiropractor, my focus is to help people in my community realize their health goals. I believe that no matter what condition someone comes in with, a step towards better health is made as soon as you enter the office. The amazing ability the body has to heal itself piqued my interest and led me to the career in Chiropractic that I enjoy today.